Hi, my name is Chloe Mae. One day mom had to run some errands and thought it would be nice to put me and my older brother in the basement instead of our kennels. Well I thought otherwise. I decided to try and escape by ripping off the door frame and then just going straight for the door itself. 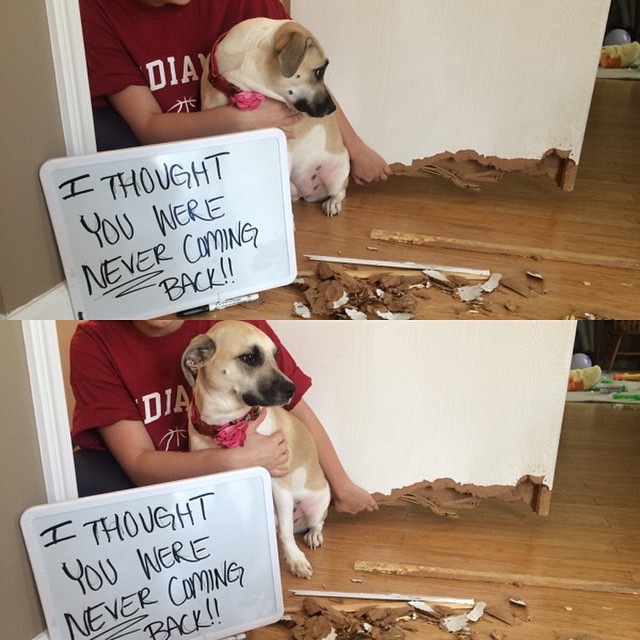 When I realized it wasn’t going to work I decided to just chew up everything into little pieces and hide it throughout the basement. Mmmm wood my favorite! !